This entry was posted in Camera Settings and tagged aperture, aperture priority, blur motion, camera setting, deep depth of field, depth of field, f-stop, freeze action, shallow depth of field by stacieerrera. Bookmark the permalink. 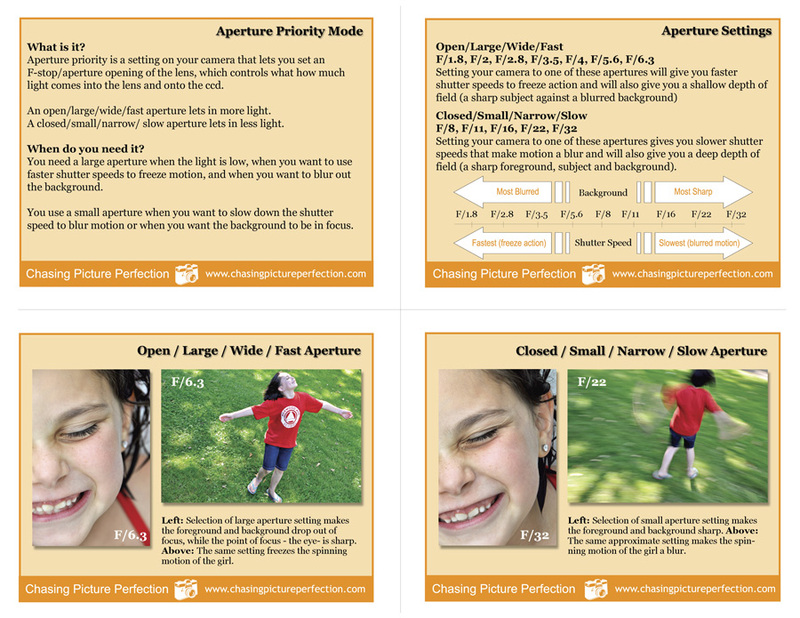 This is such a great tool – small and easy to keep with my camera as a reminder!